Markeese has years of experience working with Verus clients during all stages of their careers. With a focus on day-to-day player management, he provides direct support and servicing to all clients on and off the court. 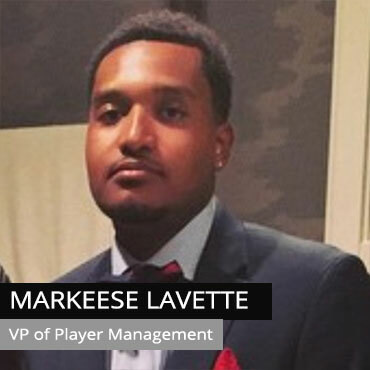 In his role, Markeese develops personal relationships with all Verus athletes and helps facilitate their transition from college to the pros and beyond.